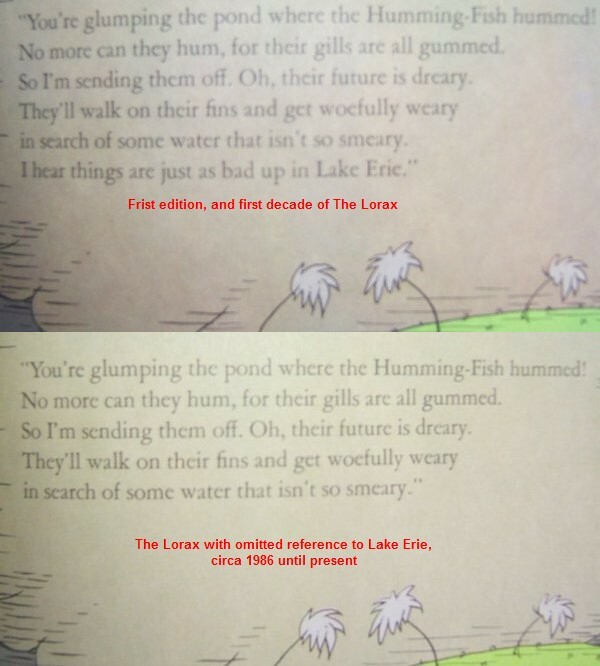 The Lorax chronicles the plight of the environment and the Lorax, who speaks for the trees against the greedy Once-ler. The book is a parable about our industrialized society. 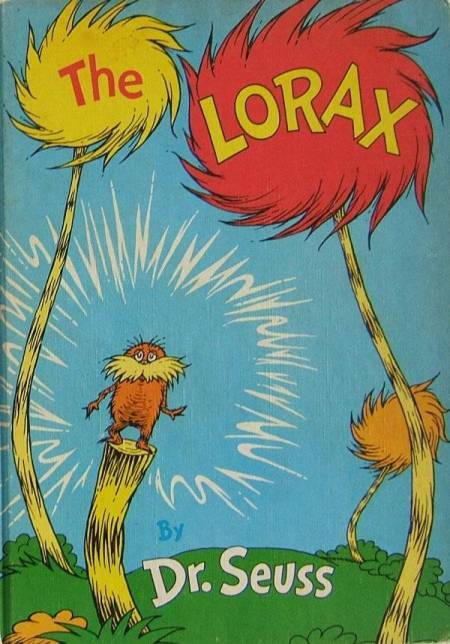 The Lorax is arguably Seuss’ most controversial work. 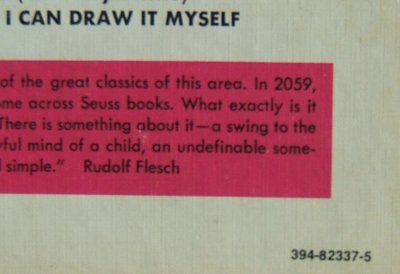 The book startled Dr. Seuss readers, and reviewers were divided. Some called it a morality tale. Ted shrugged, saying, “It’s impossible to tell a story without a moral—either the good guys win or the bad guys win.” Others were disappointed that the book lacked his usual zaniness. 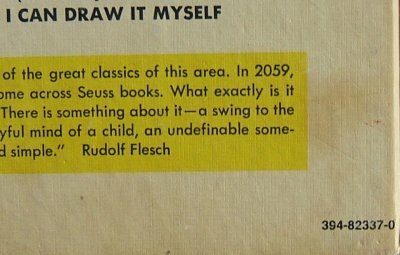 Sales were slower than Random House had come to expect of a Dr. Seuss book; The Lorax was ahead of its time and its popularity began to soar only a decade later when the environmental movement exploded. Ted himself began to talk of it as his favorite book. Normally that would have involved tedious revamping of rhythm and rhyme, but this time the change involved only the final line of a four-line rhyme and he simply deleted it. For children…and their lucky parents. Followed by two lists, the first list ending with THE LORAX. The second lists Beginner Books. 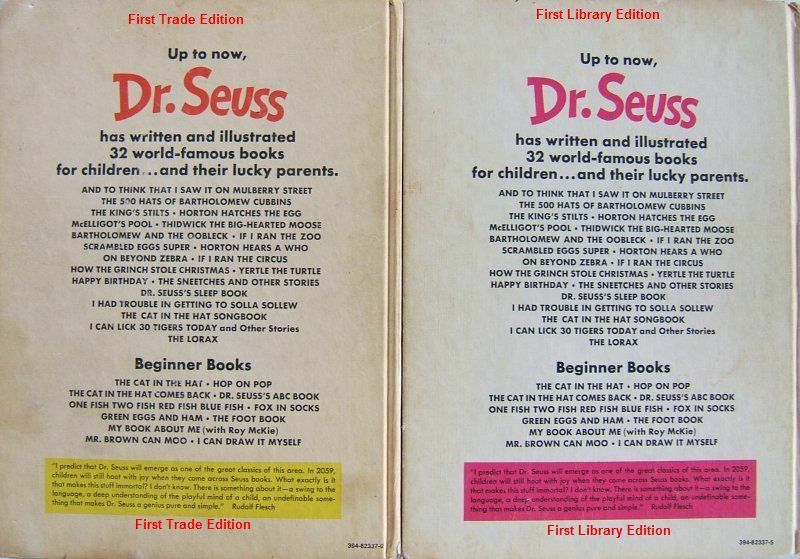 The copyright page of the Trade Edition and Library Edition vary dramatically. See picture, below. Note that the Library Edition does not show the ISBN number on the copyright page. The Trade Edition includes the correct ISBN for both the Trade and Library Edition.